Add-on door/window switch for the HVAC Smart Relay Switch (HSRS), wired model. 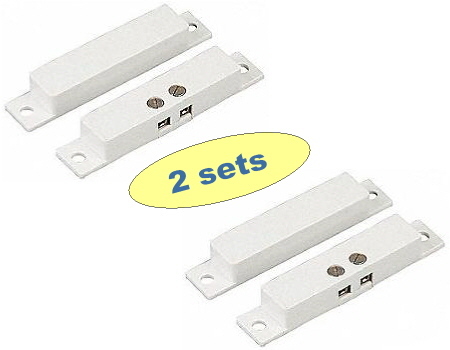 Magnetic reed switch accommodates 1″ max. gap distance. Use with a variety of cable types including intercom, telephone, or alarm wire. For normally-closed circuits. Sold as a set of two (2).